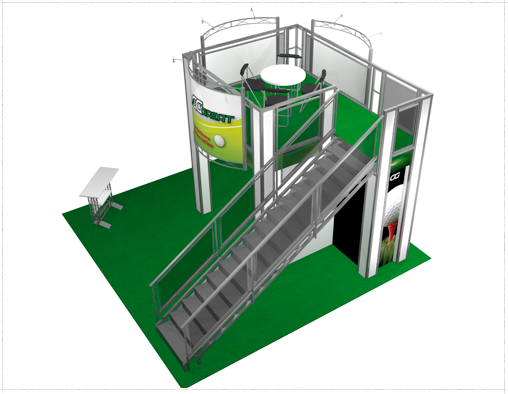 This booth combines the 9 x 9 deck with a straight staircase and landing for a private meeting area without eating floor space. 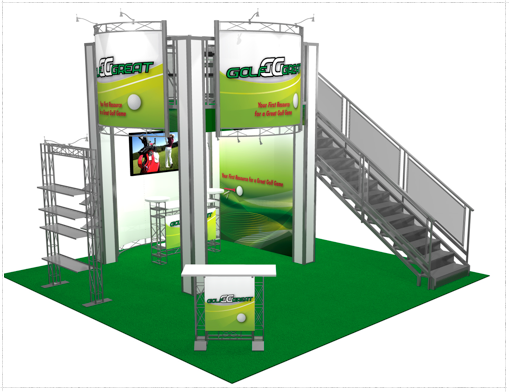 A large Hyperlite mural covers one side of the booth while matching standard Hyperlite signs create branding on the other 2 sides. 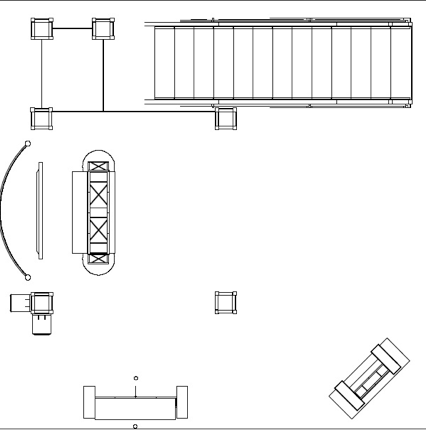 This is still a very open booth with plenty of space for a reception counter, a shelving unit and a demo area. There is a storage closet under the stair landing. 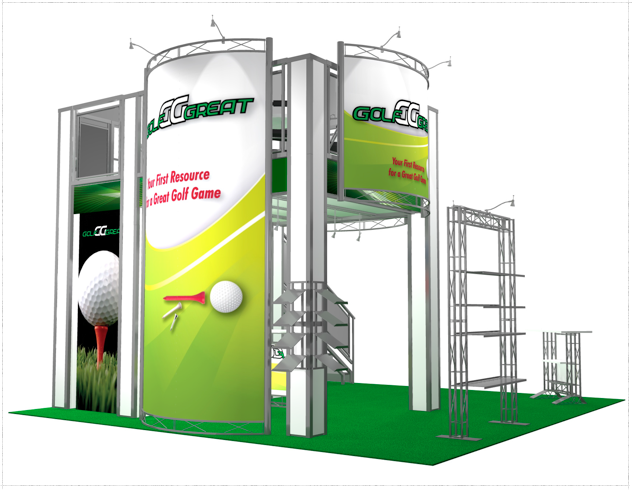 Includes structural truss system, stairs, wall frames and doors, rails, deck boards, lights, ceilings, 1/4” frosted plex rail infills, Hyperlite signs with fabric graphics, unprinted sintra infills and wall panels and 3 crates est. weight 5,000 pounds. Rentals Available.